The DeLorean Aerospace DR7 is being developed by Paul DeLorean in Laguna Beach, CA. The DR7 features a futuristic monocoque fuselage design coupled with ducted fans for propulsion. 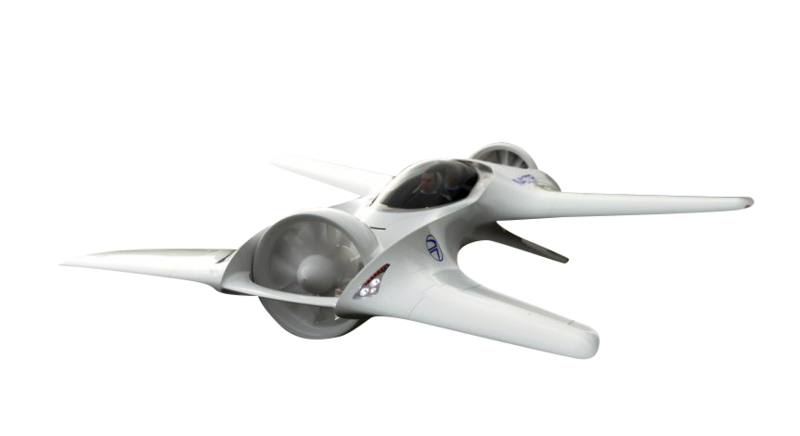 DeLorean Aerospace has a sleek concept with a reasonable estimate of the amount of work required to successfully bring it to market. Their biggest benchmark of success will be continued flight testing and refining of their 1/3rd scale proof of concept model. Check back in for updates on the progression of model testing and a possible announcement that DeLorean has begun design and build work on its full-size model.